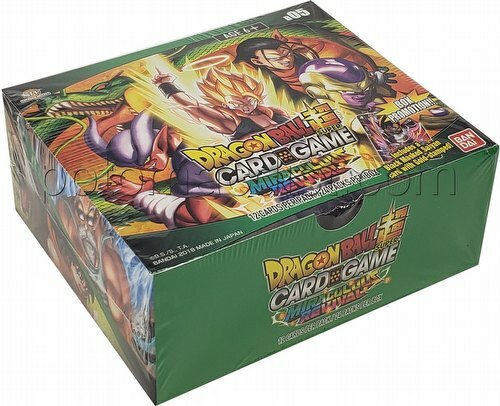 Each $69 box contains 24 packs. Each pack contains 12 cards. There are 221 different cards in the Dragon Ball Super Miraculous Revival (Series 5) set. Each Miraculous Revival booster box contains 24 packs with 12 cards per pack (8 commons, 3 uncommons, and 1 rare or higher). Of the 221 cards in the set 60 are common (normal or foil version), 30 are uncommon (normal or foil), 18 are rare, 11 are super rare, 1 is secret rare, and 11 are special rares. 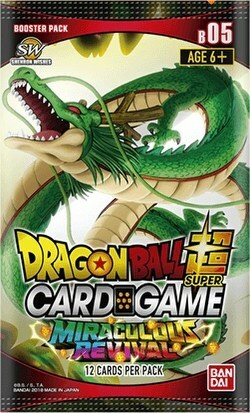 As a bonus, every booster box includes a promo card.